The snooty side of food pairings preaches "No Wine with Salad." I fed on this falsehood for years, following the widely-held mantra like an evangelical wino. Then one day, a miraculous salad and vino combo made me rethink my reliance on traditional not-so-wisdom. Not that I was always so cool and contrarian. Before my re-awakening, I lapped up all the drivel wine magazines and writers spit out. But, like a rebellious teenager, I slowly realized it wasn't adding up. Salads are simply another dish with sauce slathered on it. Match the sauce with the wine and you win. To give tradition some credit, back in the day salad dressings mostly contained robust vinegars like distilled white or cider that rendered wine lifeless and dull; it made sense to teach wine-with-salad avoidance. Times have changed, however. Now that less acidic rice or sweeter balsamic vinegars and lime and lemon use are common, wine and dressing can snuggle up and make sweet, tart love. Ah, the favorite salad of the masses. Did you know this popular appetizer was invented by Italian immigrant Caesar Cardini who owned a restaurant in Tijuana, Mexico? Legend has it he created the dish in 1924. Given the locale and the year, this probably means it wasn't paired with wine, so its garlicky, salty, anchoviness is tricky. But I found New Zealand Sauvignon Blanc, with green, grapefruit crispness massages it just right. These days, it's raining bacon and I'm gleefully outside with my mouth wide open. For summer salads featuring salty, smoky pork belly as the main event, go for dry rosé, especially something with some ballsy earthiness to it. Finding the match to citrus acidity is as easy as grabbing a cheap white off the grocery store shelf. Choose anything light-bodied that sings with lemon-lime like Spanish albariño, pinot grigio and Australian rieslings. Can't go wrong. Penfold's 2007 Thomas Hyland Riesling Adelaide (Australia) One of the best, under-priced wines I've tasted in months. Floral aromas with softness on the palate, lively acidity, fresh apricot, stereotypical riesling diesel fuel, and a tart green apple, lemon-lime, wet slate finish. Sw=2. $10. ****. Whitehaven 2008 Sauvignon Blanc Marlborough (New Zealand) What you'd expect from a tart, tasty New Zealander white: green grass, grapefruit, bracing acidity, lime rind and a refreshingly clean and citrus finish. Sw=1. $16. *** 1/2. 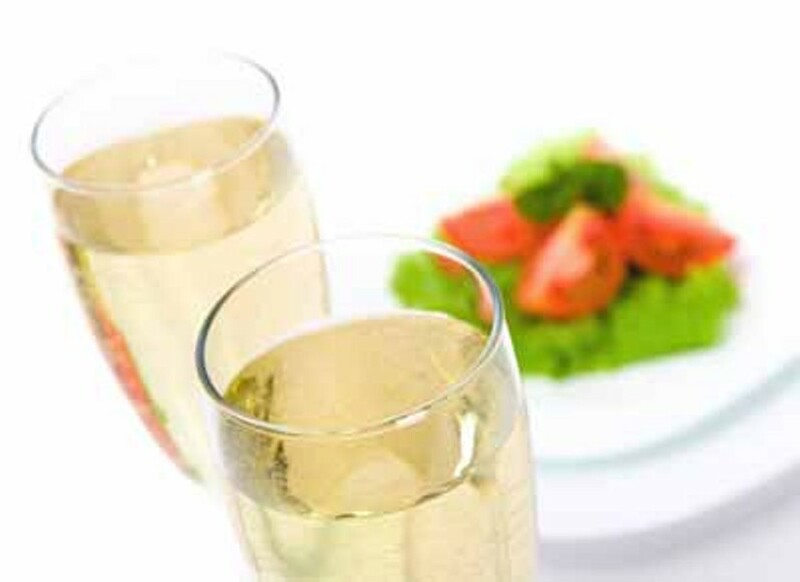 Zardetto Prosecco (Italy) A light sparkling wine from Italy's Veneto region, sipping prosecco is a great way to start any meal or drink with a salad. It has refreshing acidity, with tinges of grapefruit, white peach and green apple. Finishes clean and elegant. Sw=2. $14. *** 1/2. El Coto 2008 Rosado Rioja (Spain) Ah, the joys of dry rosé with food -- a classic, French-inspired combination. This Spanish grenache, tempranillo grape blend has tart acidity, bright candied strawberry and raspberry with a slightly earthy finish. Refreshing and cheap. Sw=1. $10. *** 1/2. Reach Taylor at taylor.eason@cln.com, on Twitter @tayloreason, and on Facebook.